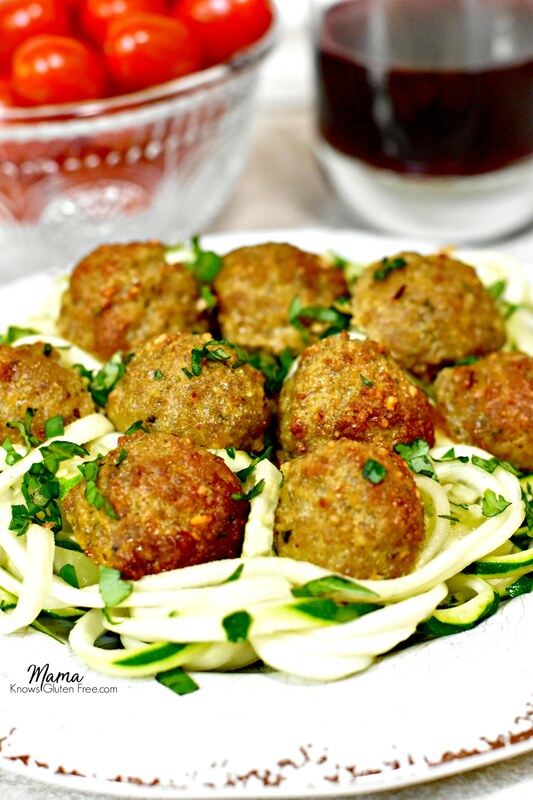 Paleo pesto turkey meatballs are so tender and juicy. They are bursting with flavor from the homemade dairy-free basil pesto sauce. Gluten-free and dairy-free. Our family is trying to eat more Paleo meals. Paleo means gluten-free, grain-free, dairy-free and no refined sugars. We eat a lot of ground turkey in my house, so I am always trying new and creative ways to fix it for dinner. We are trying to eat more grain-free, so I wanted to create a Paleo turkey meatball recipe that I knew my family will love. I wanted to create an Italian style turkey meatball but with a twist. My husband, our youngest son, and I are also dairy-free, so I wanted to create a Pesto sauce that did not include cheese. I substituted cashews for the Parmesan cheese that you find in traditional pesto sauce. The cashews mimic the flavor and texture of the Parmesan cheese beautifully. 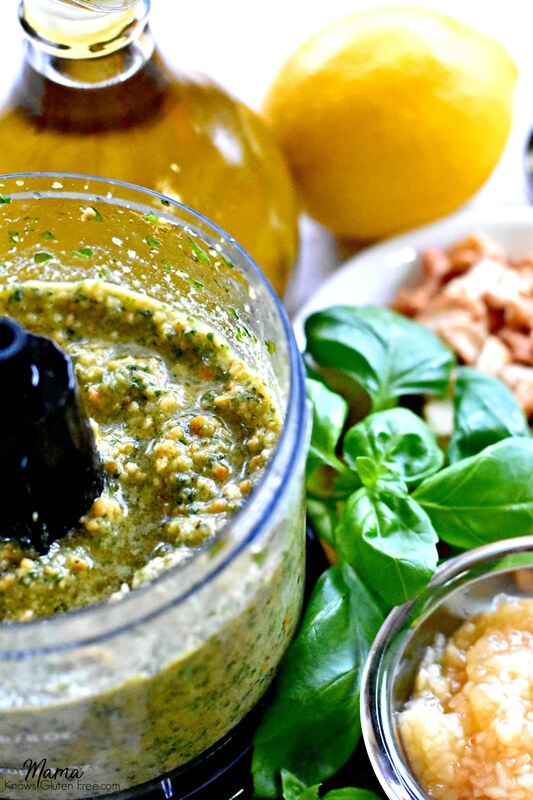 Paleo pesto sauce is a mixture of fresh basil, minced garlic, cashews, lemon juice and olive oil. The Paleo pesto turkey meatballs are so tender and juicy. They are bursting with flavor from the homemade dairy-free basil pesto sauce. Serve over zucchini noodles (zoodles) or with your favorite side dish. These Paleo pesto turkey meatballs would also be a perfect appetizer served at your next party. Looking for other Paleo dinner recipes? Check out these gluten-free dinner recipes. 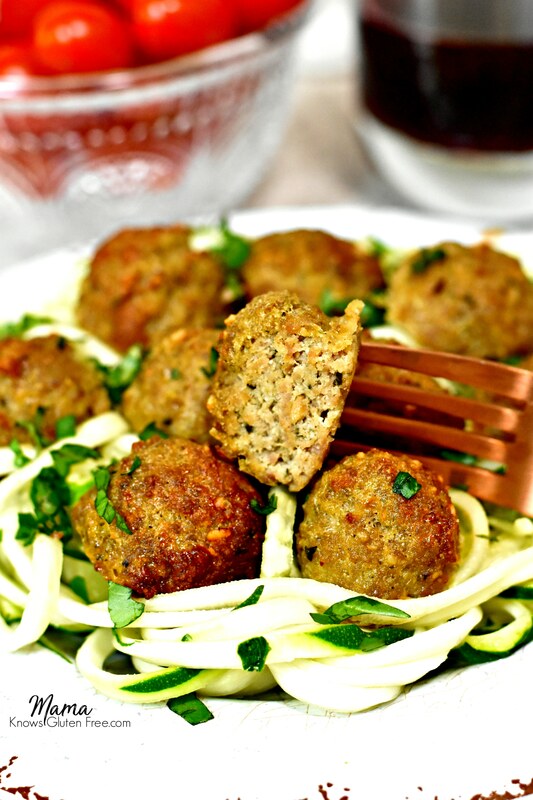 Paleo pesto turkey meatballs are so tender and juicy. They are bursting with flavor from the homemade dairy-free basil pesto sauce. Super easy to make in less than 40 minutes. In a food processor chop fresh basil. If using dried basil add to the food processor when you add the cashews. Add cashews to the food and chop until fully combined with basil. Add minced garlic, salt, lemon juice and olive oil to the cashew mixture and chop until fully combined. In a large bowl whisk eggs. Add ground turkey, almond flour, onion powder and pesto sauce. Mix together with a large spoon or your hand until fully combined. Using a medium cookie scoop ( 1 1/2 teaspoon) or a heaping tablespoon scoop meatball mixture out to form a ball and place on the baking sheet. Mama says, "Check your labels!" 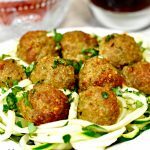 What would be the best egg substitute for the pesto turkey meatballs? Hi Sarah! I have not tried egg replacements in this recipe. 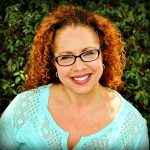 My friend Nicole from the Allerlicious does egg-free recipes. This is a link to her recommendations. https://allergylicious.com/egg-free-baking I hope that it helps. Please let me know if you try them egg-free and how they came out. When you say 10 oz of basil is that by weight or volume? Hi Arlene! I used a 10oz package of fresh basil in the recipe. I hope you enjoy the Pesto turkey meatballs. Since my daughter has a nut allergy, I plan to use regular pesto. Could you tell me how much I would use to be the equivalent of the pesto you make in your recipe? Thanks so much! It looks delicious! Hi Kariq I would start with 1/2 cup since the Paleo pesto is thicker than regular pesto. Id the meatballs are not moist enough when you mix them, you could try and add 1/4 cup more to add more moisture. I hope you enjoy the meatballs!